Deve Gowda is preparing the ground to politically expand his family's influence. Discontent is growing among people - including JD(S) workers - who feel Deve Gowda is preparing the ground to politically expand his family's influence. But, Mr Basavaraj alleged, Deve Gowda has issued specific instruction to his son and state PWD Minister HD Revanna to "not release water for this region, much of which has been diverted to Hassan which Deve Gowda considers his true home." 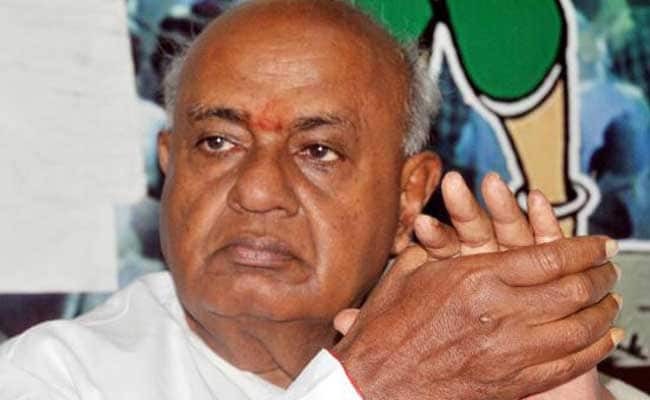 Deve Gowda is exploiting his core vote bank - the Vokkaliga community, while the BJP candidate said he is banking on Lingayats, Yadavs, Valmikis and Brahmins. The BJP leader said Mr Gowda is "least concerned about farmers'' plight here" else he would ensure adequate water to the people. The constituency has eight assembly segments - Chikkanayakanahalli, Tiptur, Turuvekere, Tumkur City, Tumkur Rural, Koratagere, Gubbi and Madhugiri. Spread over 6,706 sq.km, Tumkur has 15,94,703 registered voters - 7,97,512 males and 7,97,191 females.